Concrete construction, lower level guest quarters, 70 ft. of deep water dockage! This home has 3 bedrooms & 2 bathrooms on the main level, and a 1 bedroom, 1 bathroom lower level guest apartment. Foyer entry with interior staircase, open floor plan, with screened waterfront porch. Lot allows plenty of room for a pool! 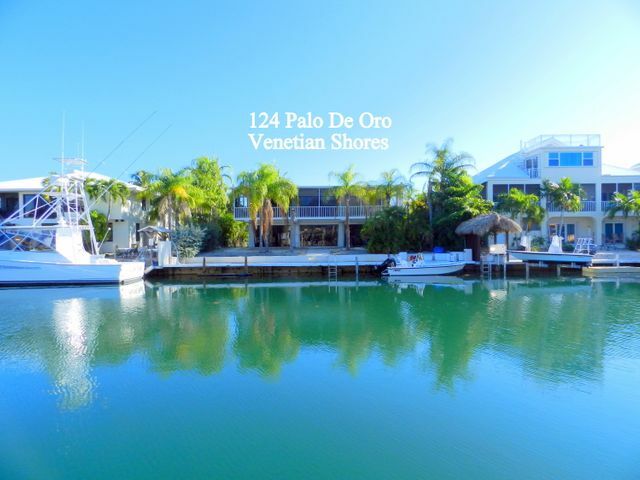 Located in desirable Venetian Shores featuring 100 ft. wide canals, offering immediate access to ocean and bay! Lot’s of potential!